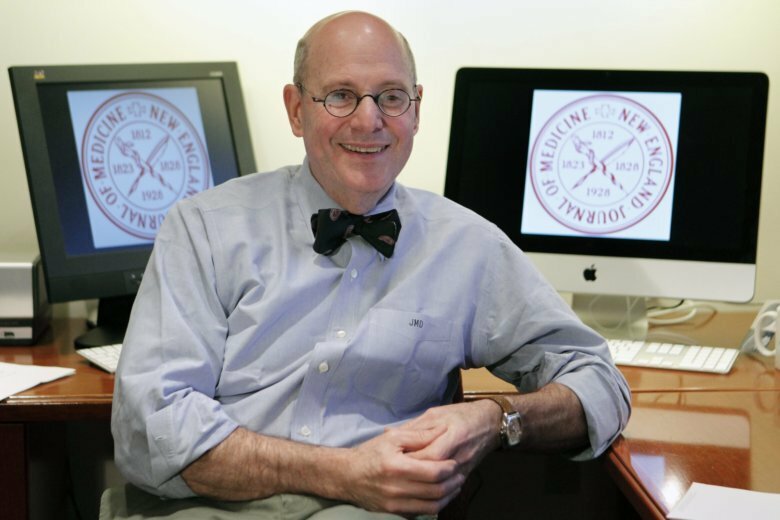 Dr. Jeffrey Drazen, editor-in-chief of the New England Journal of Medicine, said Thursday he is planning to retire within a year after nearly two decades at the publication. Drazen, 72, an asthma and lung disease expert at Brigham and Women’s Hospital in Boston, became editor in 2000 and is one of the journal’s longest-serving chiefs. He will help an international search committee find his successor and work through a transition period after one is hired. The journal is among the most influential medical publications in the world, impacting the care that patients get by shaping what research their doctors see. It dates back more than 200 years, decades before the American Medical Association was founded. When he started, two-thirds of studies the journal published were observational — the sort that look for links between things like having a glass of wine a day and the risk for breast cancer. Drazen said he wanted fewer of these because they’re weak evidence — they can’t prove cause and effect. Now, two-thirds of NEJM studies are experiments that test treatments in a rigorous way. He has speeded reports on disease outbreaks such as Ebola and natural disasters, “not to wait for them to come in, but to go out and get them” by asking doctors on the frontlines to write what they were seeing. And he worked with other medical journals to revise policies on financial disclosure for authors. Drazen’s tenure is not without controversy. He drew heat in 2016 for an editorial referring to “research parasites” — people who use data that others generated for their own purposes. Critics saw it as an argument against open science, and Drazen wrote a second piece to explain himself.